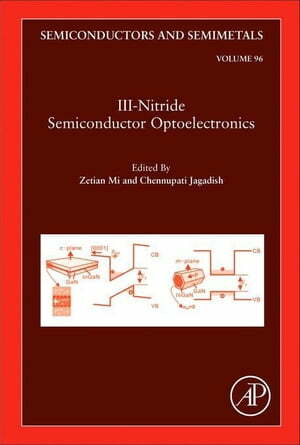 Collins Booksellers - III-Nitride Semiconductor Optoelectronics by Mi, Zetian, 9780128097236. Buy this book online. III-Nitride Semiconductor Optoelectronics covers the latest breakthrough research and exciting developments in the field of III-nitride compound semiconductors. It includes important topics on the fundamentals of materials growth, characterization, and optoelectronic device applications of III-nitrides. Bulk, quantum well, quantum dot, and nanowire heterostructures are all thoroughly explored.